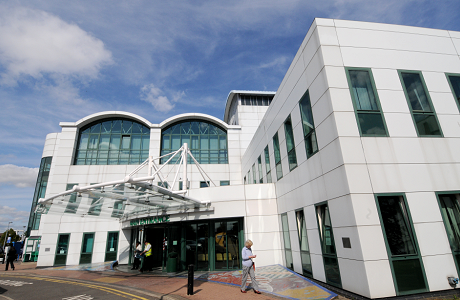 We see over 250,000 outpatients every year at Ashford and St Peter’s Hospitals and our clinics cover a wide range of specialities. Once your appointment has been made, you will receive a letter to confirm the date, time, location and details of any samples you need to bring. 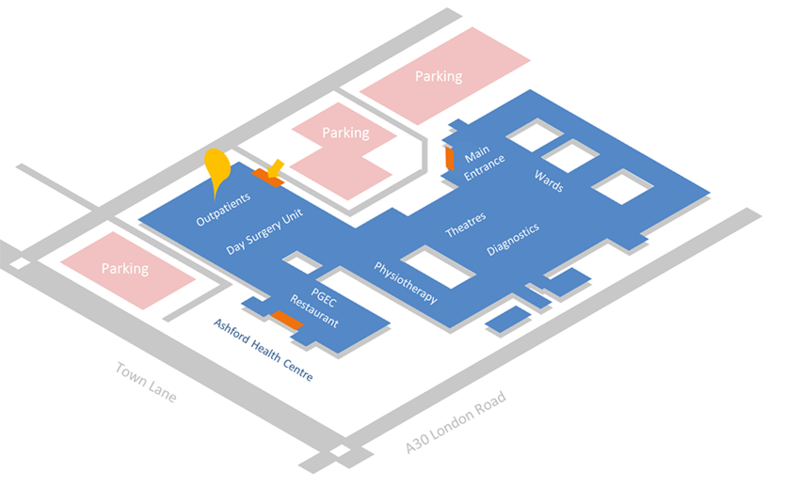 Please read your letter carefully and remember to check whether your appointment is at Ashford, St Peter’s or one of our outreach clinics at another location. We have recently launched a new Appointment Confirmation Service, to help remind patients of their routine hospital appointments and reduce the number of missed appointments. The reminders are made using a combination of automated telephone calls and calls from call centre staff. Missed appointments, or Did Not Attends (DNAs), cost the Trust financially and in wasted clinician time. If we are aware of a change, we can then allocate the slot to another patient. So please gve us as much notice as possible by calling the appointment centre on 01784 884351 (Ashford) or 01932 723831 (St Peter's). On arrival: Please report to reception in our Outpatients department on the first floor and hand in your appointment letter. The reception is signposted from the Outpatients entrance. 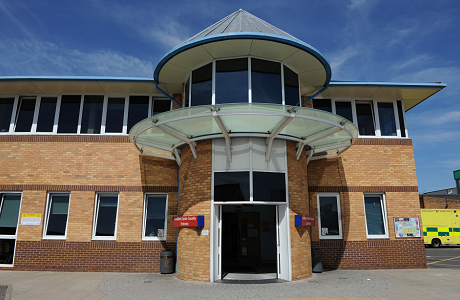 Read more about clinics at Ashford including useful contact numbers. 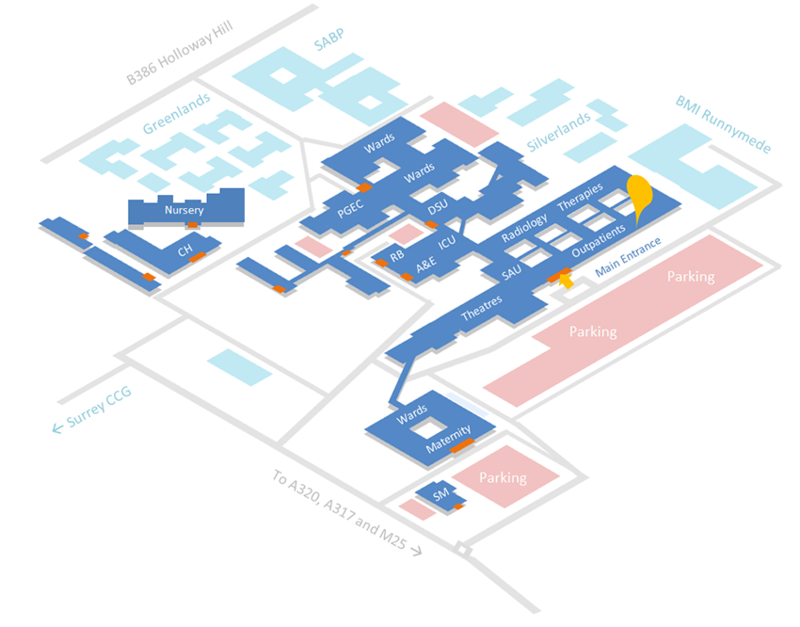 On arrival: Please go directly to the department / reception area as indicated on your appointment letter. If you are unsure where this is, please ask at main reception. Read more about clinics at St Peter's as well as useful contact numbers. On arrival in the department please use the self-checking kiosks. You will be given a printout with a generic number with guidance where to go for your clinic appointment. This will be displayed on the TV screens when the Doctors is ready to call you. There are always nurses and reception staff around to help you if you need any assistance. For more information, please click here. We try our best to ensure that our clinics run on time, but unforeseen delays can occasionally happen and our staff should keep you informed. Our doctors work in teams under the leadership of a consultant and you will be seen a senior member of the team who is familiar with your case. You may not always see the consultant named on your letter or the same doctor every time you visit. As a teaching hospital, there may be medical or nursing students present during your consultation. If you would rather they were not there please let a member of staff know. 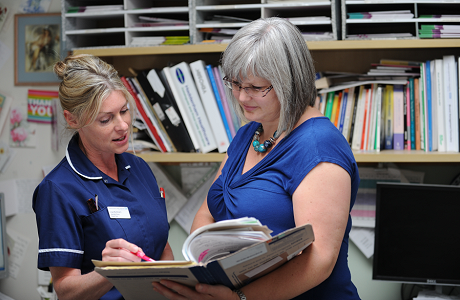 If you need further tests or investigations the clinic nurse will explain what you need to do or where you need to go. If the doctor would like you to book a follow-up appointment you can do this at the outpatients reception. You may receive a follow-up phone call after your appointment asking for feedback about our outpatient’s service. It is Trust policy, with the clinician’s consent, to allow patients/visitors to photograph or film themselves whilst on Trust premises. However, under no circumstances are patients/visitors allowed to make any recording which might include another patient/visitor/member of staff without their express consent. Trust staff have the right to ask patients/visitors to refrain from making recordings if they deem it to be inappropriate in any way. 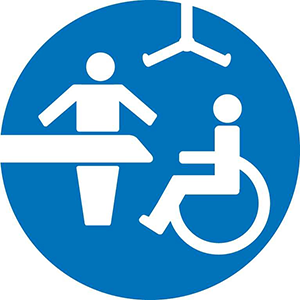 We have a Changing Places room in Outpatients Ashford on the first floor. This facility is open 08.30 – 18.00. Changing Places toilets are different to standard accessible toilets (or "disabled toilets") as they have extra features and more space to meet the needs of people who use them. To keep our patients informed about appointments and to cut down on DNAs, we send information out via SMS as appointment reminders for our patients. If you do not want to receive these alerts to your mobile phone, please let us know and we will remove you from this appointment service.